Icy cold temperatures and off and on snow all week, plus a head-cold that's driving me nuts, but nothing was going to stop me from driving up to Snoqualmie on Saturday for the Lit Series #7. I arrived at the casino around 2 PM, it was snowing lightly, nothing sticking to the roads though. I sometimes forget that Snoqualmie is indeed up in the hills - a fair amount of snow had already blanketed the surroundings. I drove up here solo since my lovely wife chose not to join me this time, thus no need for valet parking - I put the car in garage and took the elevator up to the casino. The event was in the Sno Lounge - I've seen the multitudes at night crowding into this place for the dance scene, but I've never actually been inside for myself. I was really surprised when I walked in and saw just how big and open this place really is. Now I see how they can cram so many people in here. What was even more amazing was seeing about 100 cigar aficionados gathered together in one place for this event. Am I in heaven? Josh, the manager of the Lit Lounge and organizer of the event was at the check-in table, he was nice enough to get me set up with cigars and a glass Macallan 12 year scotch (over the signature ice ball). My friend Chris and his brother Dan were sitting over by the windows, so I took a seat up with them. Beautiful panoramic view of the snow-covered mountains and valley from these chairs. This is a giant of a cigar, probably made for Paul Bunyan, it's like a little baseball bat. No problem though, I can handle it. The wrapper felt a little soft, maybe spongy, but it had a good draw, not too loose, and flavor turned out to be great - I liked it a lot! My problem, and this turned out to be kind of a big problem, was the burn. The cigar from the very beginning started to unravel, sort of looked like it had exploded at times, very messy. But, the taste prevailed and I couldn't put it down. After more than 2 hours, and I still had a long ways to go, the LGC Rep came over to ask us how we were doing? Well, I showed him my cigar that looked like the end had blown up and he said "Oh, that's not good. Hang-on and I'll get you something else." Big smile on my face, "OK." He brought me a El Rico Habano Double Corona as a replacement. Sweet! So in addition to the hors d’oeuvres, booze and cigars and great service, there was some really fine Latin music - whoever picked the tracks knew their stuff! Fantastico! This turned out to be a very enjoyable smoke. Even though it was another Churchill size cigar, the ring size was more my style. I liked this cigar even more than the last one. 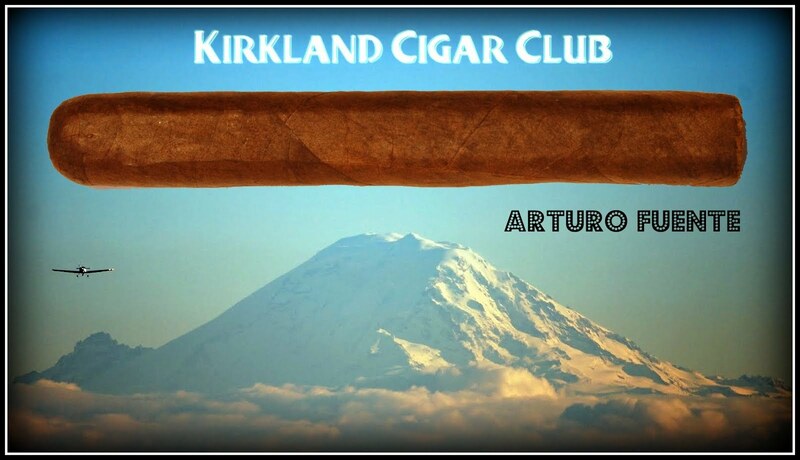 Perfect draw, exceptionally smooth, loads of flavor and a razor-sharp burn of nice white ash. I loved it! Towards the end of the event it was time to see who was walking home with the door prizes. I kind of assumed that there would only be a few prizes, but HOLY COW, Josh had a boatload of stuff to give away! Unfortunately I didn't score anything, but Chris, the guy I was sitting next to won the grand prize. I thought he was going to blast off when they called his numbers. He gave out a big yell "YES!". That was too cool that he won - way to go Chris! This was the first Lit Series that I've attended and I've got to tell you that I definitely will be going to the rest of them - it was a GREAT time. 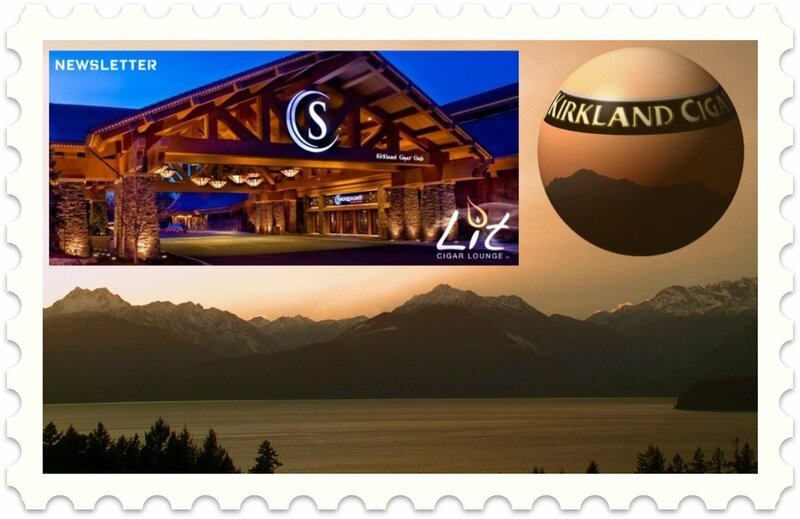 My thanks to all the nice people who put this event together for us - You have truly made this the BEST Casino in the Northwest! I had to go up to the Snoqualmie Casino over the weekend, still needed to buy my tickets for the Lit Smoker's Series #7 that's coming up on the 26th. I hate procrastinating, but sometimes it just happens. Anyway, we gambled for a while and then headed over to the Lit Lounge for a fine cigar and libations. The Partagas 150 cigar is an extremely limited line that was produced in 1995 to commemorate the 150th anniversary of the Partagas brand. Now 16 years later, we have 110 cigars as part of a limited edition Partagas 150 cigar chest. The very last of these cigars were packed into 100 beautiful humidors. We're selling the cigars individually and giving a drawing ticket to everyone who buys a cigar, for one chance to win this humidor. The cigar alone is worth the price, with its 33 year old wrapper and 16 years of age since it was rolled, but on top of that you can walk away with a gorgeous humidor. As soon as all the cigars are sold, we'll be drawing for the humidor. With all the hype I just had to check it out. So these cigars are pretty expensive $$$. I think the last time I paid this much for a cigar was years ago up in Canada; bought an expensive Cuban. Anyway, I think what convinced me to buy it was the chance to win the Partagas 150 chest. OMG, it's SUPER nice! I have no clue as to where I might put this gigantically beautiful piece of work, but believe me I'm going to clear a spot for it. So Josh, if you're reading this post, just let me know when it's time to come pickup my new shrine of a humidor, OK? So what did I think of the cigar? Meh... (Jeez did I say that out loud?) I'm probably the worst person to evaluate a cigar like this, I mean it was a good cigar, excellent draw, loads of smoke, mild flavor, but honestly I am not able to distinguish all the subtle nuances of a cigar of this caliber. I did like it though, in fact I thought it tasted like another cigar that I've had recently, I just can't seem to place the name right now. Getting old, I guess. Would I buy one again? If it will get me any closer to that humidor - YES! I went to the Casino over the weekend to buy tickets for the upcoming Lit Series #7, that was my primary mission - I wanted to save a few bucks by not buying them at Ticketmaster. Well as luck would have it, the box office at the Casino closed about an hour before the time I showed up at the window. Crap! Oh well, I drove over to Fred Meyers on Sunday and bought the tickets at Ticketmaster. Cigar SmokeEasy Has been canceled! I regret to inform you that the Cigar SmokeEasy has been forced to cancel this year's event. 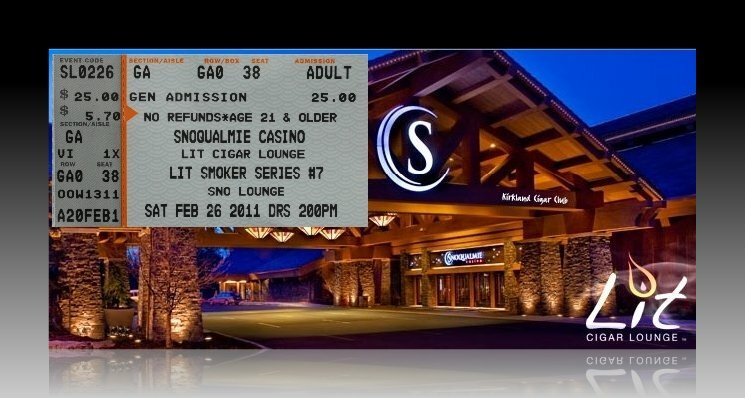 Unfortunately, Little Creek Casino and the tribal council cancelled our contract for the 2011 Cigar SmokeEasy. We have tried desperately to find an alternate location, but as you can imagine finding a smoking venue large enough has proven impossible. When I came up with the idea for the Cigar SmokeEasy 7 years ago I wanted to create an exciting cigar event here in the Pacific Northwest. John Lalanne joined me and together we formed a partnership with the sole goal of offering a fun event at an affordable price. Our profit has been witnessing the obvious enjoyment Pacific Northwest cigars smokers exhibited at our events. John and I will try to solve the dilemma before 2012 so that we may bring you the 2012 Cigar SmokeEasy. Our motto has never been more accurate, Bootlegging Pleasure in the Age of the Cigar Prohibition. John and I would like to thank all of you who have attended the Cigar SmokeEasy in years past and we hope to see you in 2012. We're just one week away from the next installment in our Lit Smoker Series! Smoker #7 will be held in the Sno Lounge on Saturday, February 26 from 2 p.m. to 5 p.m. Tickets are $25 and include three La Gloria Cubana Cigars, a 12 year old Macallan scotch over our signature ice ball, appetizers, prizes and great event specials on La Gloria Cubana cigars. Get your tickets at the casino box office or Ticketmaster. We hope to see you there! Join us February 22 for our Tuesday Night Cigar Club. We'll be joined by two very special guests - Steve from Altadis and Mark from Deschutes Brewery as we feature Montecristo cigars along with Black Butte porter and Red Chair NWPA beers. The party goes from 6-9 p.m. Thank you for the great turnout to our Thursday night Cigar Wars event. This past Thursday, we did a blind tasting of the La Flor Dominicana Air Bender robusto and you gave it an 88 rating. Every Thursday, we'll try a different cigar along with your choice of a well drink or draft beer for only $10. It's a great opportunity to try something new and challenge your preconceptions about what you like in a cigar. At #15 is the La Traviata Divino from CAO. 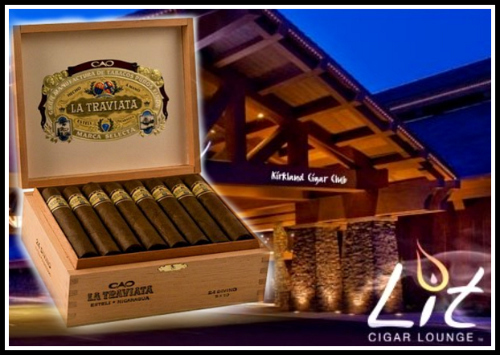 The La Traviata line may be the best cigar for the money out there, as it makes the list despite a low retail price of $6.00. If you're looking for a complex, flavorful smoke that won't break the bank, check it out! Click here to read more. 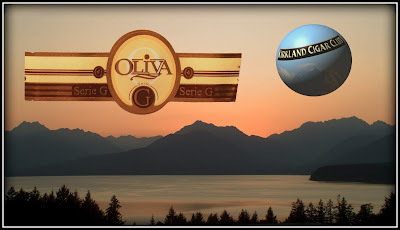 My "go to" cigar continues to be the Oliva Serie G Churchill, I have yet to find a better smoke out there for the money. Best price that I've ever found is at Serious Cigars. However, if you time it just right you can pick up 10 of these for super cheap over at Joe Cigar - unfortunately I rarely see them listed. What would you consider to be your "go-to" cigar? Be honest. I don't want to know what cigar you dream of smoking all the time, I want to know the cigar that you can afford to smoke all the time. Now I've always said that these are my "go-to" cigars, but if money were no object, heck, I honestly don't know what I would pick? I'll let you know if this opportunity ever arises. Side note: I'm planning on going to the Lit Smokers Series #7 at the Sno Lounge on the 26th. Join us this Tuesday, February 15th as we feature Rocky Patel Vintage cigars and Dewar's scotch whisky. 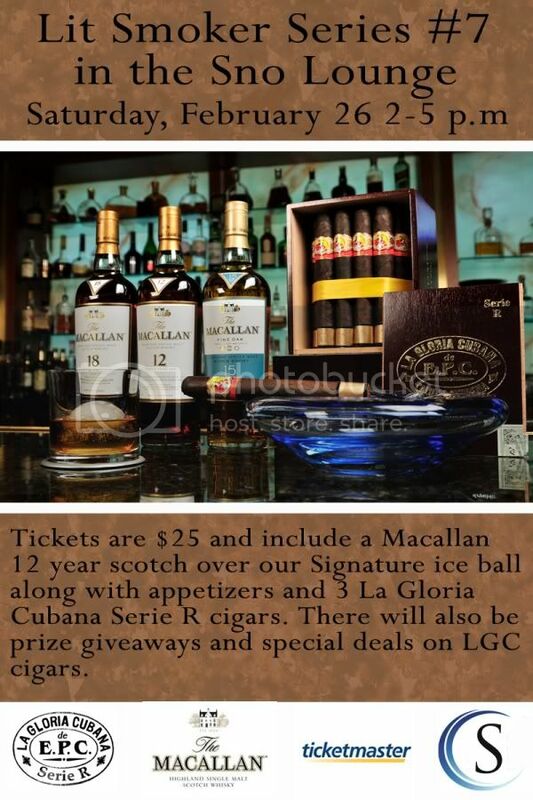 The party goes from 6-9pm and as always, there will be drink specials, cigar specials, giveaways and free appetizers. Thank you for everyone who came out to our Cigar Wars blind tasting event on Thursday. We've changed the format a little. Our guests smoked the Cuban Stock Royal Selection Robusto and rated it a 89. Join us every Thursday to enjoy an unbanded cigar along with your choice of well drink or draft beer for $10. You can then rate your cigar and see how it stacks up against the competition. 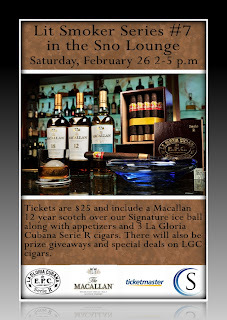 Get your tickets for our next Lit Smoker Series event, Saturday afternoon February 26th in the Sno Lounge. It is sure to be a great time. See the flyer for more details. Partagas 150 HumidorWe're proud to announce the arrival of some very rare and sought after cigars in our Lit humidor. The Partagas 150 cigar is an extremely limited line that was produced in 1995 to commemorate the 150th anniversary of the Partagas brand. Now 16 years later, we have 110 cigars as part of a limited edition Partagas 150 cigar chest. The very last of these cigars were packed into 100 beautiful humidors. We're selling the cigars individually and giving a drawing ticket to everyone who buys a cigar, for one chance to win this humidor. The cigar alone is worth the price, with its 33 year old wrapper and 16 years of age since it was rolled, but on top of that you can walk away with a georgeous humidor. 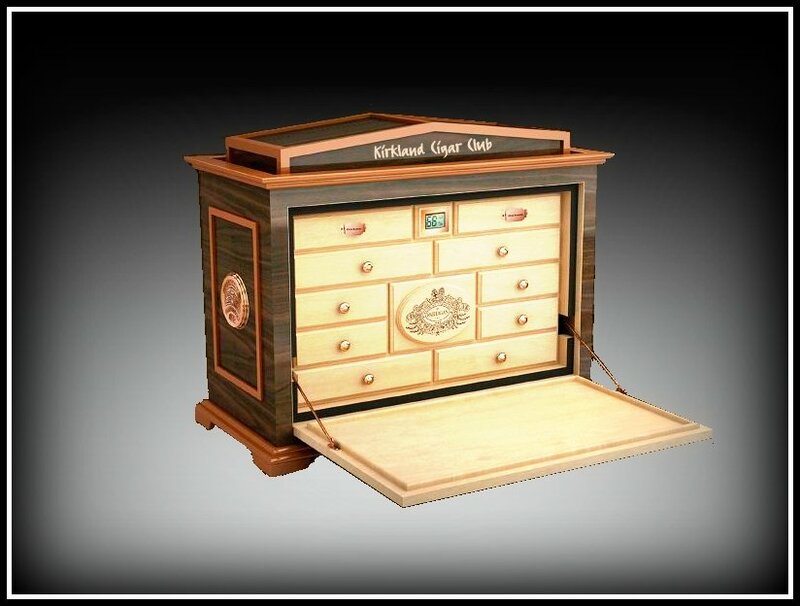 As soon as all the cigars are sold, we'll be drawing for the humidor. URGENT - LEGISLATIVE ALERT - TAKE ACTION NOW!!! 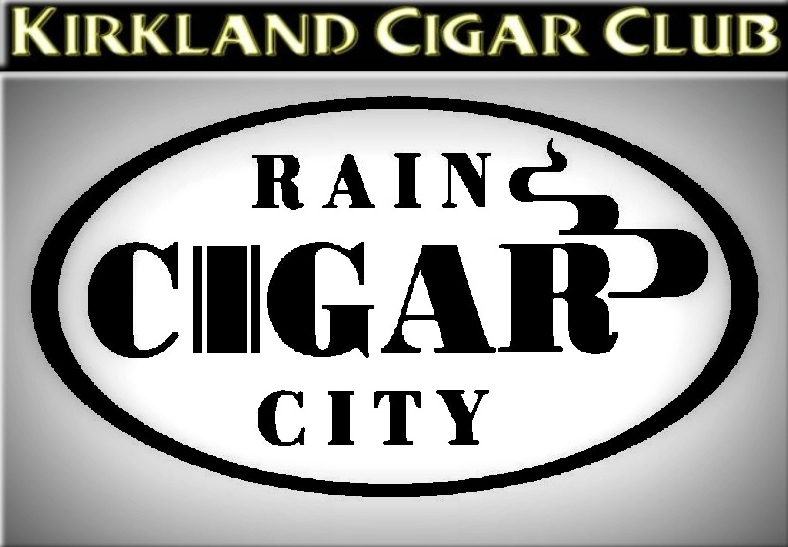 Rain City Cigar, the Cigar Association of Washington and a coalition of Washington tobacconists has brought before the 2011 legislature a bill to modify the smoking ban so as to allow the return of Cigar Bars and Cigar Lounges in Cigar Stores. We have put an enormous amount of labor and expense into this effort and now WE NEED YOUR HELP! We now call upon you, our loyal customers to step up and SUPPORT THESE BILLS! Please read on and then click on the "Take Action!" link. This will take you to a very simple tool that will allow you to send an e-mail to your lawmakers telling them that you SUPPORT this legislation. If you support this effort, please feel free to show up at the hearing. We would like to have a significant number of supporters there! This is absolutely the best chance we have had since 2005 to modify the law. Please join us now in getting our cigar bars back! From the International Premium Cigar & Pipe Retailers Association. Washington! Smoking Ban Exemption for Cigar Shops and Cigar Bars! 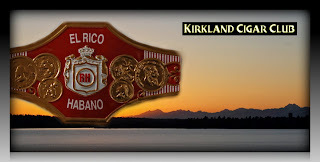 Washington Premium Tobacconists, Cigar Bar Proprietors, and Consumers! We have not and will not give up on gaining the critical exemption that will again allow smoking in premium tobacco shops and cigar bars! We have before us two outstanding opportunities in House Bill 1683 and Senate Bill 5542. These bills, when ultimately approved by the state legislature and signed by the governor, will again allow smoking in Premium Cigar and tobacco shops and cigar bars! Your help is not only needed, IT IS ESSENTIAL! IT IS IMPERATIVE! We need you to speak out and write your state representatives and state senators urging them to VOTE YES on HB1683 and SB5542! Help us and your fellow tobacconists and consumers help you to enjoy a cigar in a comfortable, safe, inviting lounge in a tobacconist's shop or cigar bar! Do not wait-- Send your Messages today! We thank you for your support of this effort and enthusiastically invite you to pass this message along to all of your cigar smoking friends! I'm curious how many cigars you smoke per week? Me, I smoke anywhere from 1 to 4, but mind you I only smoke on the weekends. This routine seems to work well for me, kind of regulates myself from smoking too much, or spending too much on cigars. I'm sure I could easily smoke everyday if the opportunity came about. Anyway, I was at the Patch the other night and the owner gave me this Arturo Fuente cigar - apparently the rep had given it to him earlier. Now I'm wondering since there's no label on it, was it a reject cigar? I've got to tell you that it wasn't a bad smoke, but it had a few issues. First was consistency. At times it was smooth and creamy, but then it would change to peppery, almost harsh, switching back to smooth and creamy. So whenever I thought it was a crappy cigar, it would change back to a decent smoke. Draw and burn were both good, and I noticed a slight sweetness as well - no complaints in the smoke department. A robusto/toro size with a dark brown wrapper - fast burning though. I don't think it even lasted an hour. Would I buy one of these? No, maybe just a bit too full-bodied for my taste. Saturday night after a big dinner out in the U-District (Tempero do Brasil), we head up to the Snoqualmie Casino.We arrive at the casino and I see that they've blocked off the valet parking: FULL. WTF? That's twice this has happened. The last time we couldn't even park in the lot though, that was full too. Anyway, so this was the first time that I've actually parked the car in the lot. HOLY COW, this is one BIG frickin parking lot. There's a 6 story parking garage, plus the regular outside parking, which goes on forever. You see, you've got to go through the parking garage and up 6 floors to get to the casino, but once you get to the 6th floor, you've got a great view of the valley below and you can see the enormity of the parking lot. JEEZ - I still can't believe that this lot could ever fill to capacity, there's got to be a billion parking places. So anyway, we gambled for a bit, then head over to the Lit Lounge for a cigar and a drink. I didn't bring any cigars with me, so I had to find something in their humidor. I scored an EP Carrillo for myself, and a Drew Estates JAVA for my lovely wife. We found a nice table to sit at and I ordered a couple of drinks. I've smoked the EP Carrillo brand before, the Edición Inaugural 2009, which I really liked. The one tonight was a Churchill size. So what did I think? I liked it, maybe not as much as the 2009 version, but it was a good smoke. Smooth, medium to full-bodied, good draw and lots of pleasing smoke. Plus, this cigar took forever to smoke - my wife kept giving me "the-look" that it was taking too long. Hah! Would I buy this again? Heck yes! The best place to come watch the Super Bowl is at the Snoqualmie Casino. We'll be having $5 Vox Bloody Mary and Screwdrivers in Lit, while the Sno Lounge also has the game on the giant HD screen with food and drink specials galore. The game will be on all over the casino, so you can wander around and play without missing any of the action. Game starts at 3:20 pm. 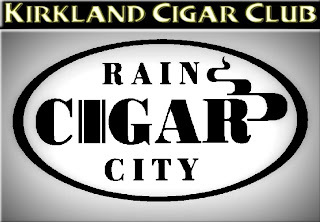 Join us this Tuesday, February 1st as we hold another Tuesday Night Cigar Club. 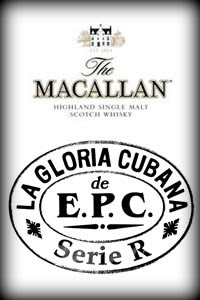 We'll be joined by our good friend Terry Coleman as we feature EP Carillo cigars and Ciroc vodka. The party starts at 6pm, and as always, we'll have drink and cigar specials, free appetizers and prizes. Thank you for everyone who came out to our Cigar Wars blind tasting event on Thursday. We've changed the format a little. Our guests smoked the Montecristo #2 and rated it a respectable 86. Join us every Thursday to enjoy an unbanded cigar along with your choice of well drink or draft beer for $10. 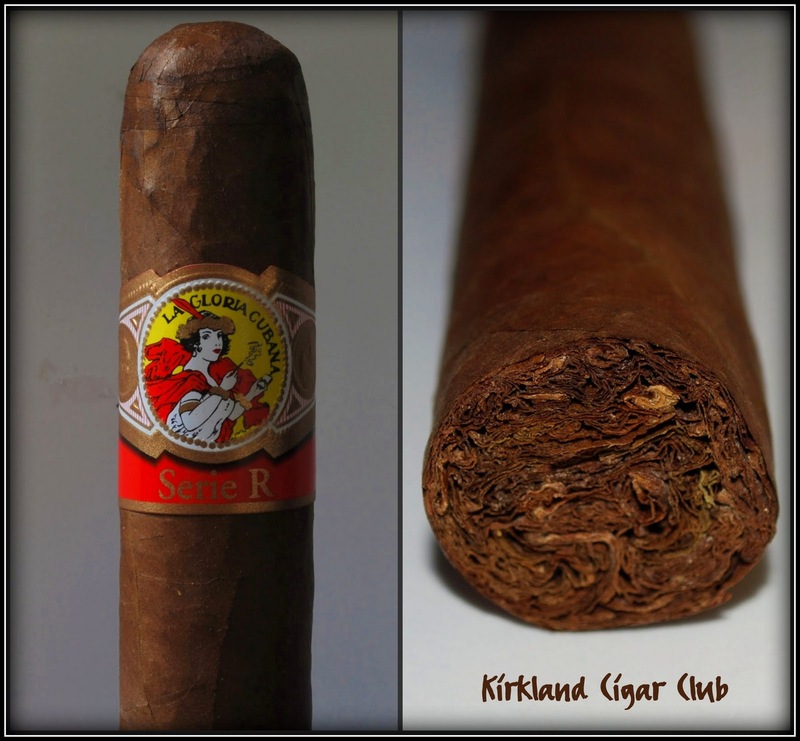 You can then rate your cigar and see how it stacks up against the competition.